Cork City Council is warning of potential flooding in Cork city tomorrow morning at high tide. The council is predicting that high tide tomorrow morning will occur at 7.19am, with evening high tide expected at 7.41pm. Tide levels are expected to increase tomorrow when a strong south-easterly wind, combines with heavy rainfall and low air pressure. 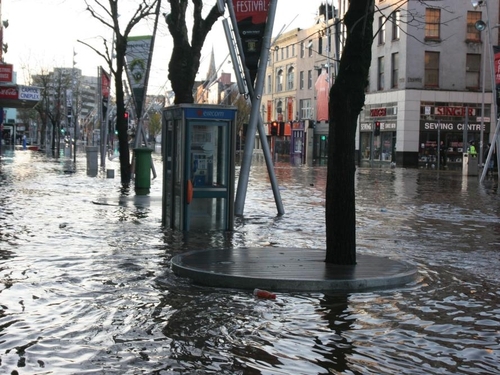 The council is warning people that flooding may occur in the low lying areas of Cork city centre. Meanwhile, Westmeath County Council says it expects the flooding in the Athlone area to cost hundreds of thousands of euro. Almost 100 homes remain empty after they were evacuated because of rising water. Up to 26 families in the area are now in temporary accommodation, which is being provided by local authorities. The local authority is to meet with residents of affected areas on Tuesday to discuss the clean-up operation and future plans. Although waters have receded significantly in recent days, many areas are still flooded. The clean-up operation in Athlone will not get under way until waters have receded further and at that time the County Council will begin providing skips, black sacks and disinfectant for people to clear out their homes. A water alert for 2,000 homes in Limerick has been lifted but a boil notice remains in place in Montpelier, O'Briensbridge and Bridgetown. 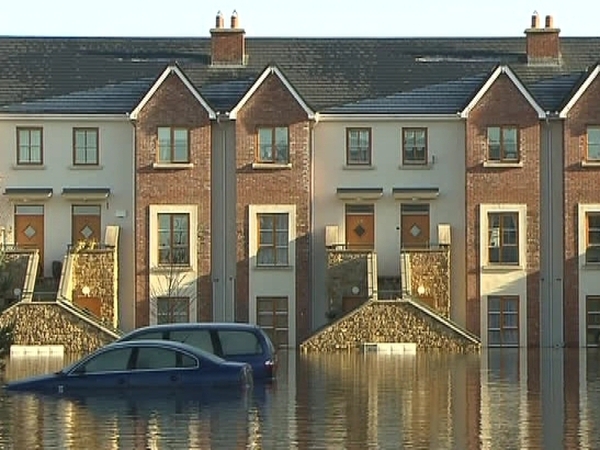 Credit unions have donated €130,000 to charities assisting those affected by floods. The Irish League of Credit Unions presented the funds to St Vincent De Paul and the Irish Red Cross this morning. 93 credit unions all over the country sent funds to their representative body in the past number of days. Many credit unions have set up their own funds and further donations are expected in the weeks ahead. The money will be used to help families who are in difficult circumstances, many of whom have had their homes and their possessions destroyed in the flooding. The Irish League of Credit Unions says it will continue to contribute to community initiatives to help repair damage and rebuild communities. While authorities are helping people get back on their feet, many will find it hard to afford Christmas presents and some essentials this year - the Credit Union fund hopes through St Vincent De Paul and the Irish Red Cross to help those people. A cross-party delegation of TDs has met the European Commissioner for regional policy in Brussels as part of the Government's efforts to apply for emergency funding for areas affected by the flooding. The Government is expected to seek support from the EU's solidarity fund in January. It was following the devastating floods in 2002 in central Europe that the EU set up a solidarity fund to help member states cope with natural disasters. The last major application was by the Italian government for the earthquake last April in the town of L'Aquila. This is the first time Ireland has sought emergency help. This morning Fine Gael TD Pat Breen from Clare, Fianna Fáil's Timmy Dooley TD also from Clare, and Kildare North TD, Fine Gael's Bernard Durkan, met the commissioner for regional policy Pavel Samecki to press Ireland's case in advance of a formal application. All three said that Commissioner Samecki would be sympathetic to Ireland's case. The Solidarity Fund is earmarked for damage to infrastructure, existing properties, a clean-up operation and help for the emergency services. No figure has yet been put on what kind of response is expected, but the fund is only triggered if the overall damage exceeds €975m. The Government has ten weeks to apply for the fund after the start of the natural disaster so the application is expected to be submitted in January.